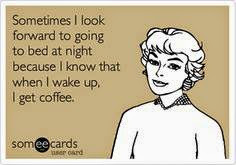 Hey there, blog friends, crafters and coffee lovers!! 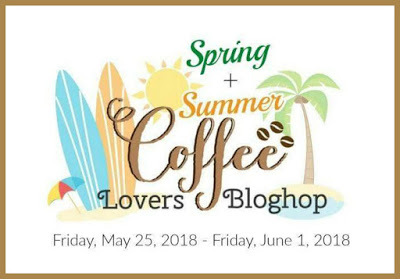 If you're like me, you've been making cards and projects for the Spring/Summer Coffee-Loving Cardmakers Blog Hop. 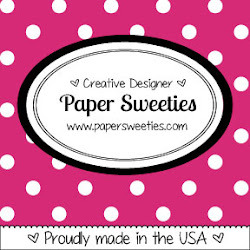 Did you know that Paper Sweeties is a sponsor for this fun hop? Paper Sweeties always enjoys participating in this special event, and....Paper Sweeties carries lots of ADORABLE coffee-themed stamp sets and coordinating sweet cuts (dies). Just take a peek at this sweet little card I created using some of their stamps and other products. My card was created using one double-sided piece of patterned paper. 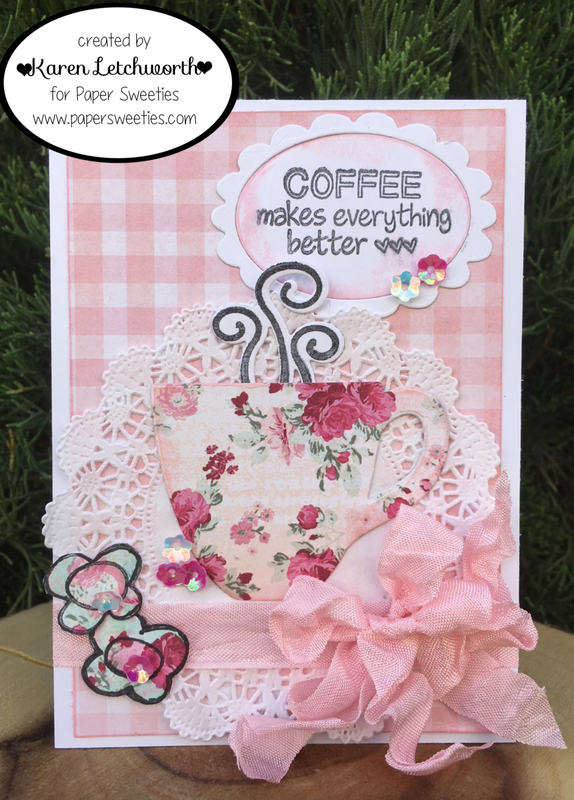 I used the pink gingham side for my background, and the floral side to cut my coffee cup by using the Keep Calm and Drink Coffee Sweet Cuts. I used the coordinating Keep Calm and Drink Coffee Stamp Set for the coffee steam and the cute sentiment. The sentiment was stamped on the medium sized oval from the Oval Scallop Frames Sweet Cuts. I added some Sugar Sprinkles Sequins, Raspberry Sequins, and some flowers that were stamped using the A Friend Is Stamp Set and cut with the coordinating A Friend Is Sweet Cuts. Finally, I wrapped some luscious Bubblegum Seam Binding around my card and used it to make a lovely double bow. 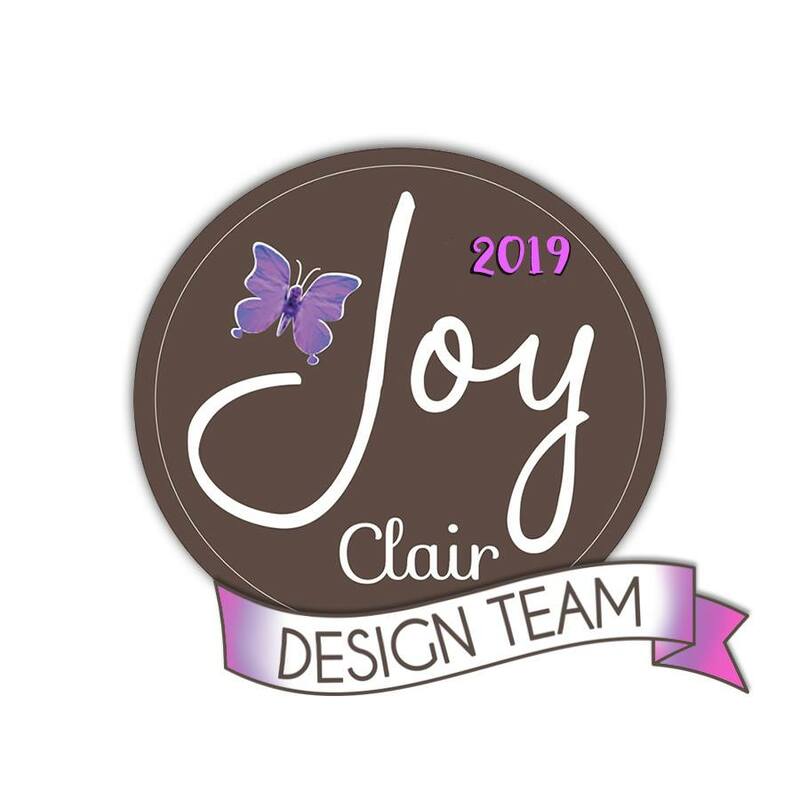 There's always lots of great inspiration on the Paper Sweeties Blog, and on each of our Design Team Members' blogs. 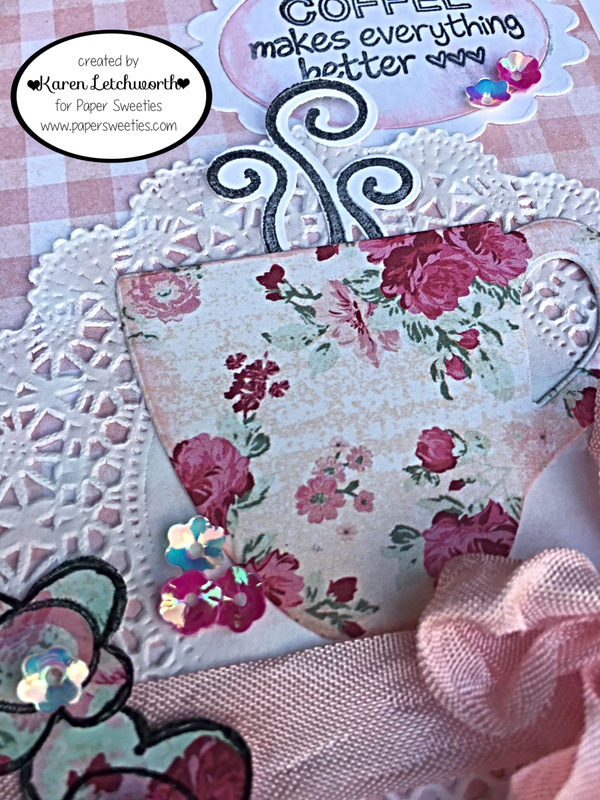 You can pick up any of these sweet sets, several ADORABLE coffee-themed sets, along with luscious seam binding, embellishments and more by visiting Paper Sweeties. Thanks again for stopping by to say hello. 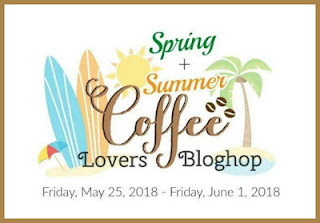 Coffee Loving Card Makers Spring/Summer Blog Hop - Anything Coffee, Tea, etc. 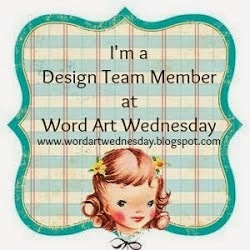 Simon Says Stamp Wednesday Challenge - More Than One Stamp - I used several Paper Sweeties stamps on this card. Karen this is so beautiful and feminine!! Karen this is gorgeous. I love the roses. Thank you for the birthday card you sent me. I love the sewing you did on the card. Blessings. So beautiful with all lovely layers! I have just a few of those pretty little floral sequins and I hoard them terribly. grins! they are adorable, aren't they? they add such character to whatever project they are used on, including this beautiful card! Karen, this is so pretty...you have such a way with all the details! Your bow on your ribbon is amazing. Beautiful touches Karen~that bow is gorgeous! Such a pretty feminine looking coffee card. So feminine and pretty. I love the look and papers. Such a beautiful card, Karen! This card is full of romantic mood with lovely florals, pink paper, doily and ribbon. Love how you made cup from floral vintage pattern paper.Thank you so much for joining us at Simon Says Stamp Wednesday Challenge. SO beautiful! Love everything about it... the pink!! 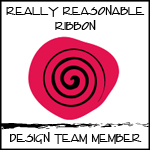 the beautiful design paper, ribbon.. all of it! Love the delicate doily behind your pretty tea cup! Such a beautiful pink card! Beautiful card! Love the papers and the design! Stunning, adore the flowers against gingham! Oh my goodness! LOVE! Your creations are always jaw dropping. That coffee cup is gorgeous with the floral patterned paper and the bow is a stunning finishing touch! I love the doily and the pretty pattern paper! Such a darling card, Karen! Love all the pink colors you used! Oh wow! This is so pretty! Love the pattern paper!!! Oh wow that is so gorgeous. You chose such lovely pattern paper for the coffee cup. So sweet with the gingham and doily and the floral tea cup. Ooooooh! So much pink--I love it!! You've created a lovely blend of textures that's so feminine and elegant. The Doily! I forgot to create a doily card for the hop - OK - I am leaving now to get that done before I forget - no wait - I can write it on paper and read it in the morning then go crazy getting it created - love it when you use those doilies - you must have a stack of them in your crafting room - beautiful creation! What a lovely and beautiful card. Love the cup and sentiment.